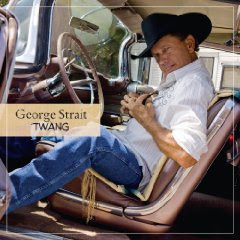 The “King of Country” is back! 17x CMA Entertainer of the Year nominee George Strait will kick off his arena tour early next year and this time, he’s bringing along one very special lady – Reba McEntire. With 57 number one hits, 33 multi-platinum albums and countless sold-out shows year after year, Strait who holds the record for the most CMA wins and a record 17 CMA Entertainer of the Year nominations, is known for giving fans exactly what they want and expect. This year will be no exception. Later in the evening, Reba visits the set of ABC’s Nightline to discuss her own personal and professional musical influences, her career and the success of her new #1 album, "Keep On Loving You." It’s been a whirlwind week for Reba while in New York. Along with visiting Live w/ Regis & Kelly and making her debut on Late Night w/ Jimmy Fallon yesterday, it was announced that icons George Strait and Reba will tour together in 2010. Christmas has obviously come early, because Sons Of Bill (one of the most promising new music acts of any genre) have offered fans a massive number of exceptional music downloads completely free. Bill obviously raised his sons right, because these country boys know times are hard for many fans. And "free" is a price anyone can afford. Plus, it's a brilliant marketing move that is bound to land Sons Of Bill many new loyal listeners. Sons Of Bill recently released their critically acclaimed album "One Town Away." The project garnered rave reviews from Country Chart and other music magazines. Click here to read our review. In the past few months, Sons Of Bill played Bonnaroo and Austin City Limits Fest. The band also opened for Jason Isbell And The 400 Unit, and several dates with Robert Earl Keen are coming soon.